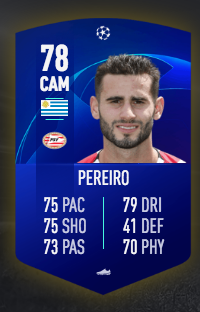 Well, he's already a OTW player. 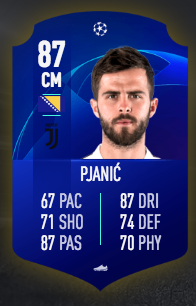 These cards are dynamic, they'll upgrade. 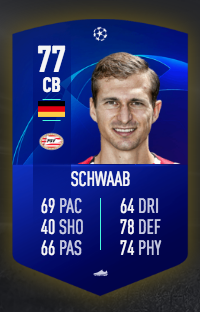 It's safe to say that it is a OTW card. 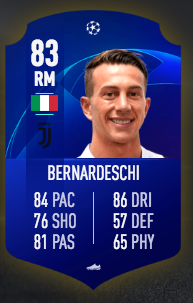 This is not a OTW tho, it's a CL card. 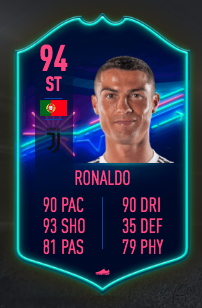 There are actual OTW cards (Ronaldo for example) on futhead already. 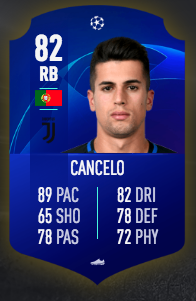 We don't exactly know how the CL cards will work but they seem to be dynamic. 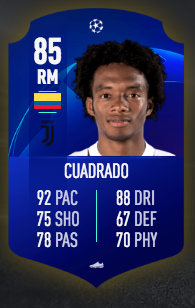 Every CL card has got a +1 upgrade (overall and in every stat I think) so far. 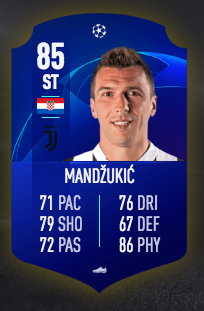 Those CL cards will be available when group stages start. I have no doubt about my team. We will reach the final. JUVE JUVE JUVE JUVE JUVE JUUVEEEEEEEEE JUUUUUUUVEEEEEEEEE!!!! FORZA JUVE!!!!! That's a lot of confidence. Good luck with that. As of the rest, I don't think they'll get that many upgrades such as the above I listed so Alex Sandro, eh. Dybala, eh. Chiellini, eh. Matuidi, eh. Khedira, eh. Barzagli, eh. Rugani, eh. Emre Can, eh. Spinazzola, eh. Bentancur, eh. Do we know how the CL items work? 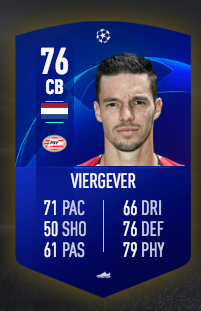 I would still get those PSV CL cards just to keep them if I was you just like how I'm keeping my Juve CL cards and only sell if I get a duplicate. 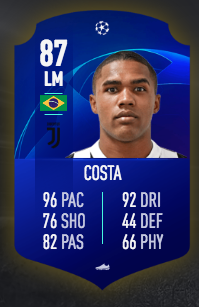 Those CL cards look really nice. I'm getting all of them for sure but I would not buy them as an investment. 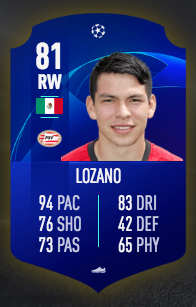 Just wish they'll still give Gutiérrez one since his card looks good already. There is not much info on them. Also, if they are going to be released into packs they will mess with the market big time. Fair enough i'm not disputing their could be 1/2 around by error. Not enough to make it worthwhile trying to look for them imo. 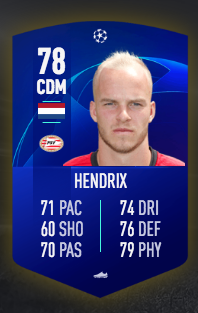 Kane need a special card. Plus hs card made the SBC rest were cheap. 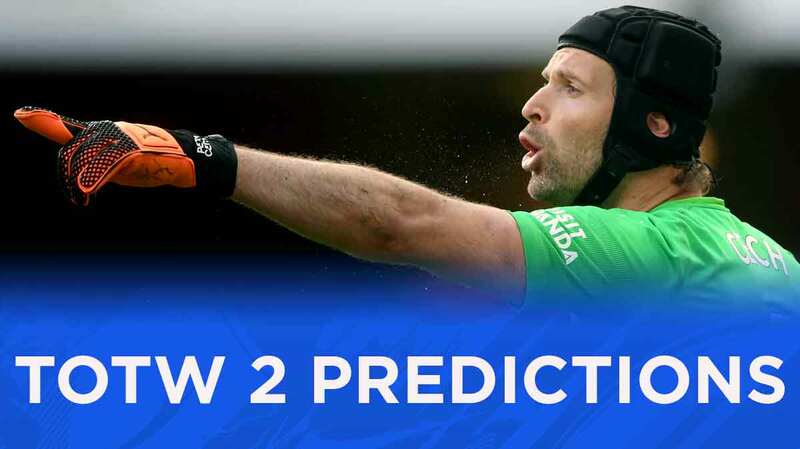 For me i think its going to be. 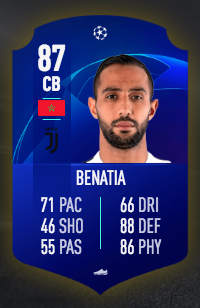 OTW starts on Friday right? Time to get worried or will prices bounce back? I mean, they should, but who knows. investing in Lucas and Alderweid. Just FYI D. Sanchez has had his price range increased to 40k, probably others as well. It's just the crash because everyone has got the game and is opening tons of packs. 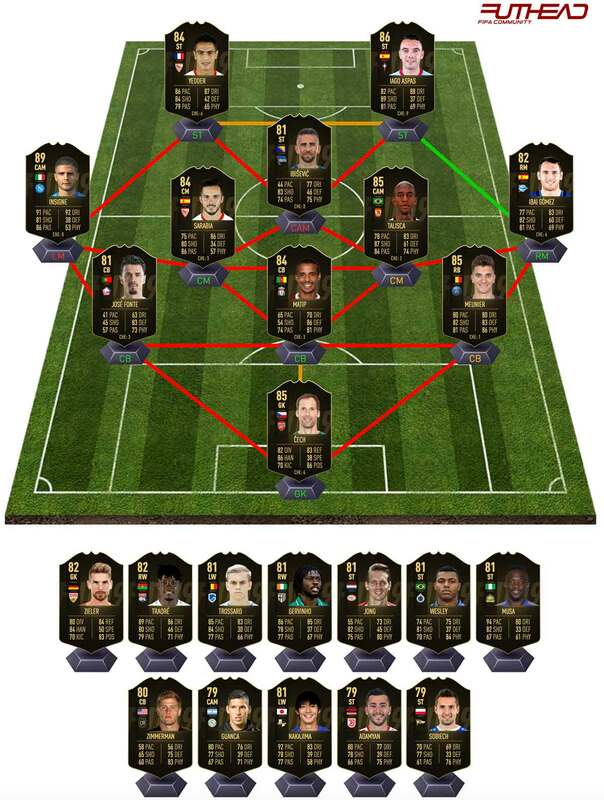 Once the full game is out and the whole player base decides they need a good team for the first WL prices will go back up.